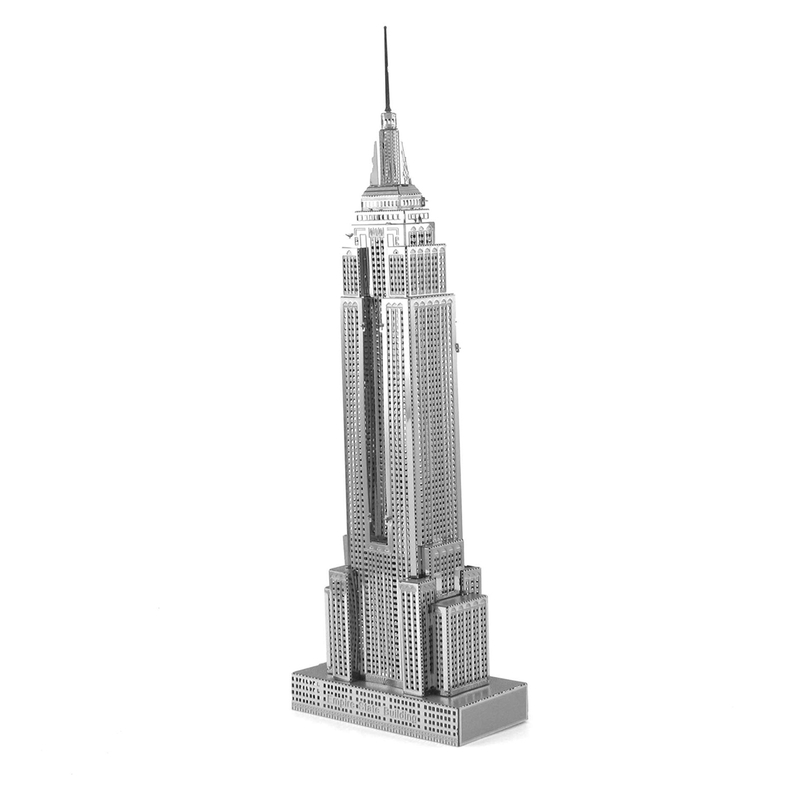 ICONX Empire State Building Empire State Building is a 102-story skyscraper located in Midtown Manhattan, New York City, at the intersection of Fifth Avenue and West 34th Street. It has a roof height of 1,250 feet (381 meters), and with its antenna spire included, it stands a total of 1,454 ft (443.2 m) high. Its name is derived from the nickname for New York, the Empire State. It stood as the world's tallest building for nearly 40 years, from its completion in early 1931 until the topping out of the World Trade Center's North Tower in late 1970. Number of sheets: 1 Sheet Difficulty: Easy Assembled Size: 4.7"H x 1.75" x 1.75"